talentrack is India's biggest platform for all forms of media, entertainment, creative & art (MECA) talent-hiring & engagement in the country – combined with being the first specialized talent-services marketplace for the MECA community. Algo8 creates potent modular data-led technology that is decisive in driving growth for its clients. Stockbay has proven to successfully help its customers by developing customized models and algorithms using deep learning, predictive analysis, statistical modelling, data mining, and supervised/unsupervised learning. Backpacker College is breaking down barriers so everyone can learn to love travel. Backpacker College's mission is to become the go-to destination for travellers to find affordable accommodations and great experiences in every college/university community in the world. 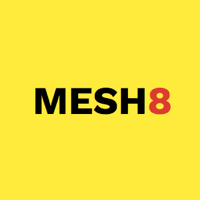 MESH8 is a Toronto-based product studio running experiments around the themes of cohesive communication, social commerce and contextual discovery. Through these experiments, our mission is to get to a meaningful starting point, from where we could make a lasting difference in the world. Agnitio is a provider of completely integrated and optimized energy solutions that are industry oriented, ready to deploy with best practices and tailored to suit the need of its clients. While focusing on providing the full spectrum of installation, commissioning and configuration of equipment and technology for Energy & Utility domain, they are passionate in working towards sustainable energy efficiency and environmental solutions that transform business processes.